Why Are Relationships So Important? Relationships are essential to getting important things done. While each of us can be a leader and make a difference (see my first blog), and participating in effective teams serves as a force-multiplier greatly magnifying the impact of our actions (see blog #2), building effective relationships with those who both agree and disagree with us is critical to achieving positive action and breaking through seemingly impossible gridlock in complex situations. hile most of us understand the value of identifying those who agree with our beliefs and may become allies, we often fail to recognize the importance of engaging those who may challenge us and oppose our efforts. We can learn a lot by listening to them – What are their concerns and why? Are they legitimate? Are there unintended consequences we had not considered? Can negative aspects of our actions be avoided? Are there beneficial opportunities for those opposed to our proposed actions? By failing to take time to listen and understand issues of those with different perspectives, we disrespect them, fail to identify legitimate concerns, and lose opportunities to develop win-win scenarios. Failure to engage in the tough discussions needed for productive dialogue, ensures critical dissent, rushed decisions, unintended consequences, and reinforces broken and polarized relationships that are difficult to mend. Let’s examine a situation outside of our current political climate! Hurricane Katrina: Hurricane Katrina struck southern Mississippi, Alabama, Louisiana and New Orleans in August 2005 with devastating impact. The storm affected 90,000 square miles including failure of New Orleans’ levees, flooding much of the city. 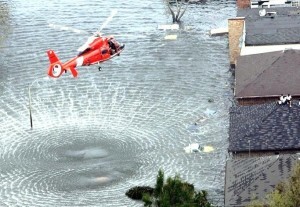 Heroic Coast Guard efforts rescued 34,000 people by boats and helicopters brought in from across the country. Sadly nearly 2,000 people died and hundreds of thousands were displaced, many living in intolerable conditions with no housing and little food or water. For his book Making a Difference – Stories of Vision and Courage from America’s Leaders, CAPT “Sully” Sullenberg interviewed several inspirational leaders, including my former boss, Admiral Thad Allen, Coast Guard Chief of Staff during Katrina. Despite the successful rescues, the government response – local, state and federal agencies – was disconnected, unfocused and ineffective. 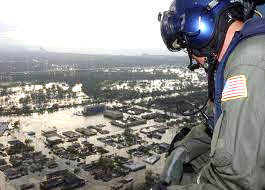 Federal Emergency Management Agency (FEMA) Administrator Michael Brown was designated Principal Federal Official (PFO) in charge of coordinating the federal response to Katrina, but conditions seriously deteriorated. Allen was appointed as Brown’s Deputy – His orders: “Get to New Orleans and figure out what’s going on. Stabilize the situation.” Within a week the White House dismissed Brown as PFO and chose Allen to replace him. Admiral Allen, was assigned to lead the entire federal response to an unprecedented disaster and was the President’s representative for coordinating with governors, mayors, state and local agencies and non-governmental agencies – the Salvation Army, Red Cross and relief organizations. Tensions were running high – people ran out of food and water and became desperate. Crime increased- parents looted stores for diapers, baby formula and bottled water. Anger focused on the lack of help, most notably the federal government, in particular FEMA. When I deployed to New Orleans a week after Admiral Allen became the PFO, I saw many t-shirts with a target on the front with FEMA at the center. 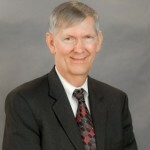 Customer Relationships/Challengers: Allen immediately chose a team of action-oriented trusted advisors and told them to “meet me in New Orleans”. But his first meeting was not with his team, governors or federal executives; it was with those closest to the situation who were justifiably angry (enraged!) at the lack of action and support – New Orleans Parish Presidents with flooded communities and citizens needing immediate help. They were the most vocal critics of the lack of federal support. Allen met with them – and he listened – to their anger, their needs and their frustrations. He asked what they needed from him and the federal government and their priorities. After the meeting, these same Parish Presidents said they were confident Thad Allen understood the situation, would communicate with them to discuss issues, and would take positive and timely action to make things better! Every organization was expected to candidly raise issues, concerns or problems – no matter how difficult, awkward or challenging they may be – without repercussions. There would be no penalty for telling the Emperor he had no clothes – whether it be Admiral Allen, the governor or the mayor. Actions to resolve any issues were taken outside of the update meetings. These meetings went far to establish understanding between disparate and sometimes competing organizations of their needs and capabilities and build trust and a commitment for positive collective action. Cooperative actions supported each others’ efforts, such as security concerns of Red Cross volunteers when gunshots were fired nearby. One day CAPT Atkin’s security team had to tow police cars parked next to the cruise ship and USS IWO JIMA berthing first responders and federal aid workers. Normally this would be a problem, but because the Mayor’s Office and police were included in daily meetings, they understood the police cars parked where tanker trucks needed to be to replenish the ships’ water supply. It was not an issue. Internal Team Relationships: Simultaneously, Admiral Allen had to establish singularity of purpose at the multi-agency Joint Field Office (JFO) at Baton Rouge immediately after being assigned as PFO. He was concerned that major criticism of the federal response had seriously hurt the morale of dedicated federal workers. He called an all-hands meeting with 2,500 staff crowded into a large space. He saw frustration and dismay on their faces, then grabbed a bullhorn and climbed atop a desk. As captured in Sullenberg’s book, Allen said “Everybody listen to me, this is an order. You’re to treat everyone you come into contact with that’s been impacted by this storm as if they were a member of your family – your mother, father, brother, sister. That’s what I want you to do. And it you do that two things will happen. Number one if you make a mistake, you will probably err on the side of doing too much. And number two, if anybody has a problem with what you did, their problem’s with me, not you.” Allen went on to tell Sully there was a huge collective sigh in the room because no one had told them what was most important, what the values were, what their roles were and that their leader had their backs and supported them – Allen did that. Epilogue: Thad Allen’s highly effective leadership gained respect of the White House, governors, mayors, federal, state and local officials, his staff, and most importantly, New Orleans’ citizens. After serving as Hurricane Katrina’s PFO and Coast Guard Chief of Staff, he was promoted to Commandant. In 2010 as he was completing his assignment, President Obama called on Allen to lead the federal response to another unprecedented disaster, the largest manmade oil spill in history, Deepwater Horizon. 1) Customers/Clients: Engage and be credible; listen, ask questions, and be willing to learn before making decisions and prioritizing action. Understanding what is important to them and being included is essential – everyone wants to be heard and understood. 2) Partners: Build trust through transparency and dialogue; show respect for all perspectives. Share information/insights, leverage best practices. Hold frequent candid conversations to keep abreast of changing situations and avoid misunderstandings. Seek collaboration for collective goals. 3) Internal Team: Establish clear values, goals and roles – then empower the team to get the job done. Monitor their spirits, encourage them, let them know you will always support them. Share information, create synergy for better solutions and measure progress towards collective goals. Encourage ‘truth to power’, even if it is unwelcome news (bad news never gets better with time). 4) Challengers: Speak to opposing/conflicting issues, debate the pros, cons and validity of ideas in the search of the best solutions, not the motives of individuals or their organizations. Seek to understand legitimate differences of opinion and search for win-win solutions. Hint: As Stephen M. Covey has stated, first seek to understand, before being understood when interacting with others. • Making a Difference: Stories of Vision and Courage from America’s Leaders by CAPT. Chesley “Sully” Sullenberger (pgs 8-15).